Location: the Beach Club is located on the water, at the end of the road Blvd. S. Carlos. The pool is right off the beach. 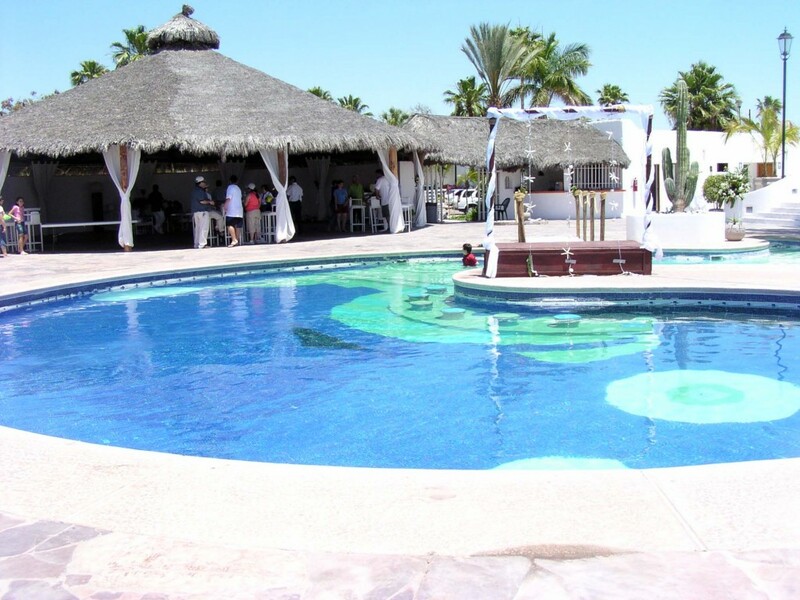 Amenities: restrooms, pool-side palapa restaurant. There is a shallow area for children. Paddle boats are for rent at the beach and occasionally kayaks too. There are lounge chairs around the pool and on the beach. There are also shaded palapas on the beach. Location: on Paseo de los Yaquis. Cost: 80 pesos per day for adults and 50 for kids under 18. Buy your pass from any of the servers at the La Palapa restaurant. 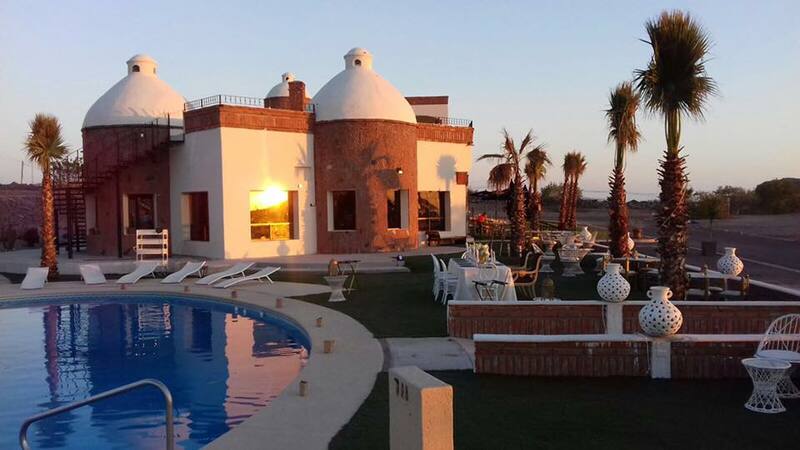 Amenities: restrooms, pool-side bar, restaurant, lounge chairs. Nice view of golf course and out to sea. 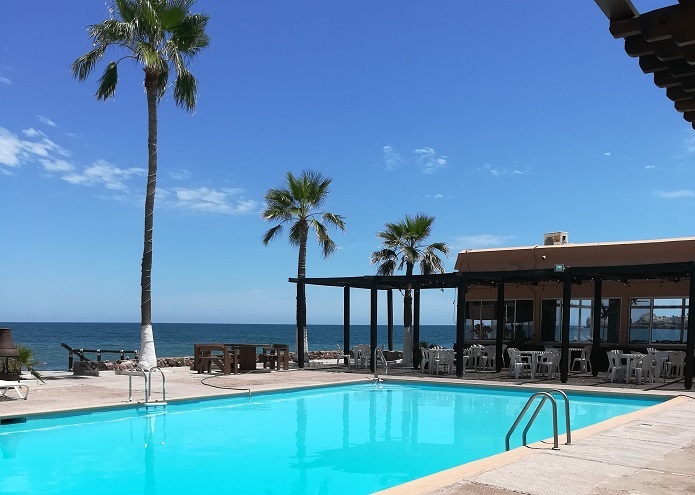 You don’t have to be a member to buy a day pass or to eat at La Palapa restaurant. Location: beside El Mar restaurant, from the main street (Blvd. Manlio Fabio Beltrones) towards La Posada hotel and beach. Hours: every day from 8am – 9pm. Buy your pass from any of the servers in the restaurant. 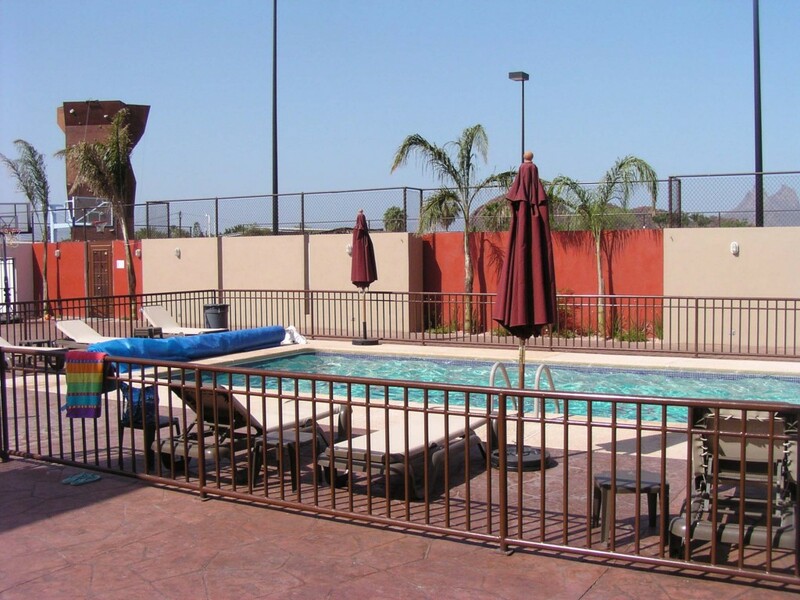 Amenities: restrooms, tables, chairs, umbrellas, lounge chairs, restaurant. An outdoor bar is coming soon. Bring your own towels. Available for parties. Nice view of the Sea of Cortez and the Posada beach. Location: the Athleticlub San Carlos is located on Avenida 3. Cost: 100 pesos for a day use pass, which allows access to the pool and all the gym facilities except for Pilates Reformer class. Many longer term options too. Hours: Monday to Friday: 6am – 9pm; Saturday: 8am – 3pm; Closed Sunday. Amenities: restrooms; tables, chairs, lounge chairs, snack bar. There is a shallow area for children. Several lounge chairs around the pool. The day use pass gives you entrance to the whole club, so before taking a dip, you can join an exercise class and use the weight room. Check the pool schedule, as some classes such as water aerobics may be in session. Bring your own towel. Available for parties. 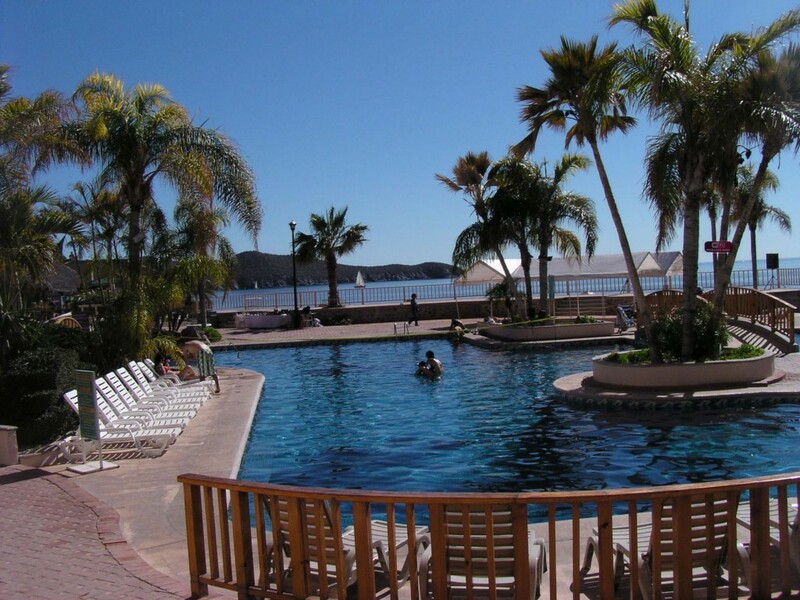 Location: the hotel is located on the water, on Paseo Mar Barmejo Norte. The pool overlooks the sea. Cost: 250 pesos per adult and 150 pesos per child (11 years old and under), for a day pass, which allows access to the pool and facilities at the hotel. This pass can be used as a credit towards food and/or drinks at any of the restaurants at the hotel. Buy your day pass from an employee at the reception desk at the front of the hotel. 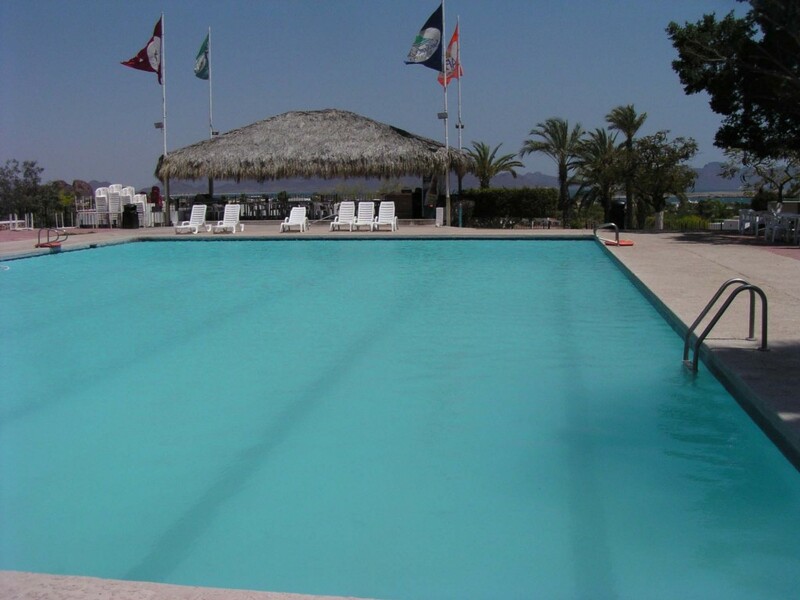 Amenities: restrooms, pool-side palapa restaurant, umbrellas for shade, small weight room, free wifi, jacuzzi. The pool is very child friendly with many shallow areas, a slide and a waterfall. Beachfront, there are several kinds of water-craft for rent, including kayaks and sail boats. There are plenty of lounge chairs around the pool and on the beach. Cost: free with the purchase of food from the restaurant and free to Mirador Court Pickleball members. Amenities: restrooms, tables, chairs, restaurant. Beautiful view.